Under the arch of love, as a famous song (nearly) said! Its new product day at Elite Sound, and boy, was it a product worth waiting for. 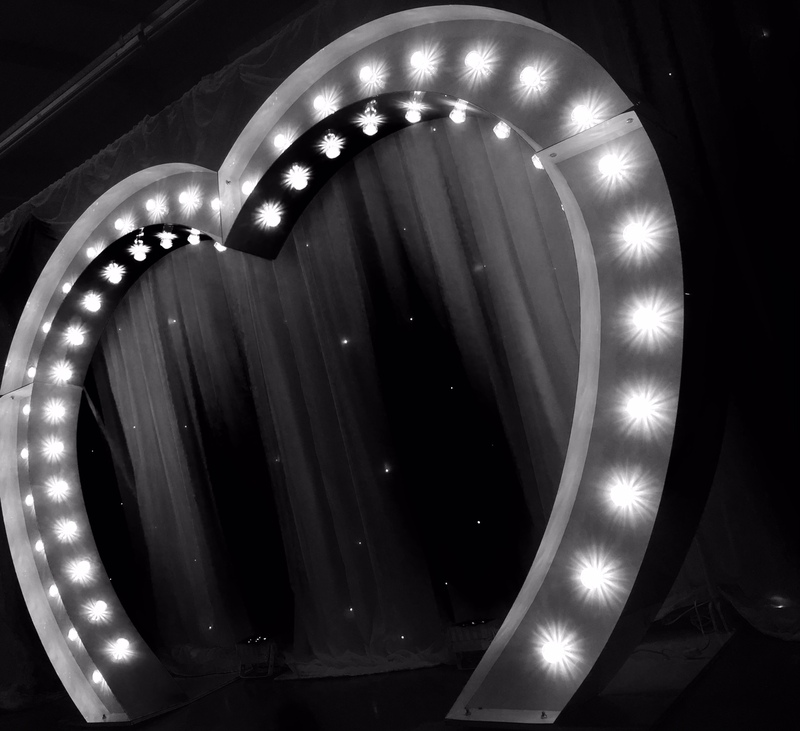 We started developing the Love Heart Arch in the summer of 2015 after continuously looking for our next big product to compliment our existing portfolio of WOW factor. Of course, love hearts exist, some even light up. Archways also exist, normally in a wire capacity with cloth and flowers wrapped around. But what if we combine the two products and take it to the next level? Thats when Eureka struck! Our solid white steel structure took 4 months to make and landed at Elite Sound HQ several weeks ago (xmas was dominating our time, so we were unable to play with our new toy!) We certainly was not disappointed and the product was well worth the wait, the enormity of the arch needs to be seen to be believed, and the wow factor certainly carries on within our new line. The size and weight of the arch makes installation a real team effort, but the end result is priceless. The Arch is now available from today to hire for your unique event, please visit our dedicated page for further information. Or why not go for the whole LOVE and add our stunning Light up LOVE letters to compliment the arch or even a crisp white LED Dance Floor. email info@elitesound.co.uk or call 0113 3454546 for pricing and availability.